Overstock. 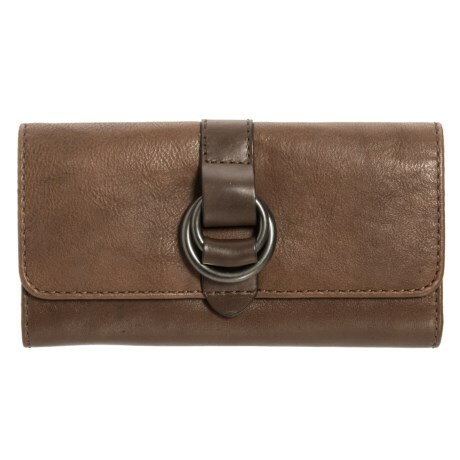 Done in smooth 100% leather, Fryeand#39;s Adelaide snap wallet speaks to your adventurous side with its unique and functional design. Available Colors: RED CLAY, PEACOCK, CARAMEL, BLACK, STONE.